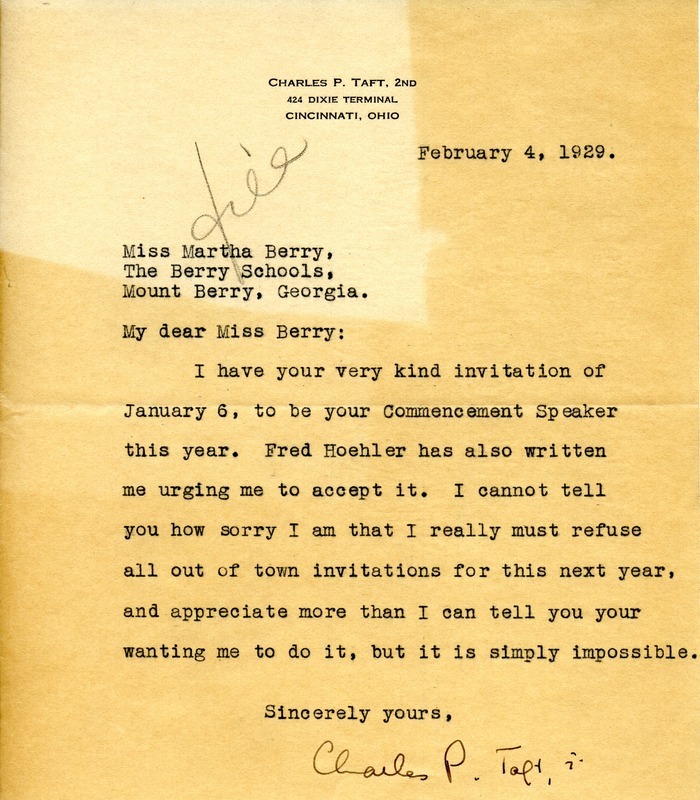 Charles P. Taft writes Miss Berry to kindly decline her invitation to be the Commencement Speaker. Mr. Charles P. Taft II, “Letter to Martha Berry from Charles P. Taft.” Martha Berry Digital Archive. Eds. Schlitz, Stephanie A., Chelsea Risley, Mary Sheley, et al. Mount Berry: Berry College, 2013. accessed April 18, 2019, https://mbda.berry.edu/items/show/11000.